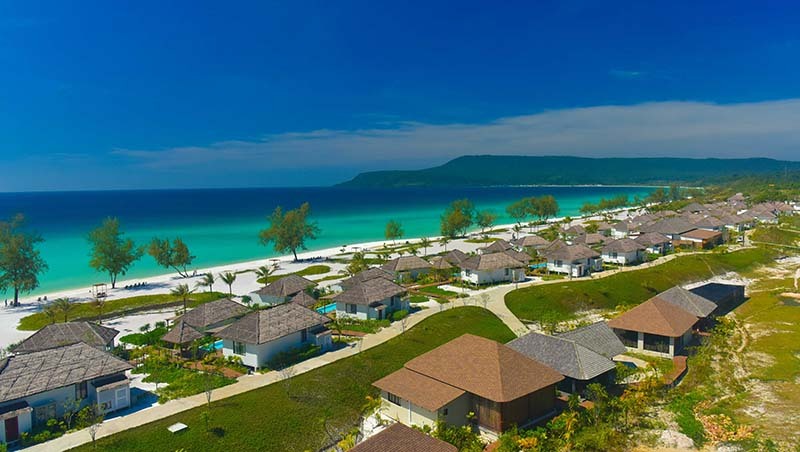 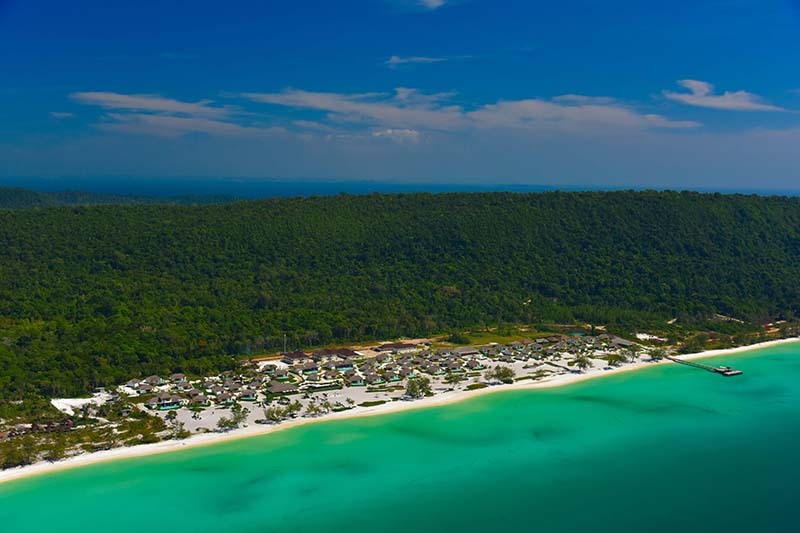 Take a step back in time and relive the beauty and calm of island life as it was meant to be at this all-villa resort, situated on the untouched island of Koh Rong beside a spectacular white sand beach. 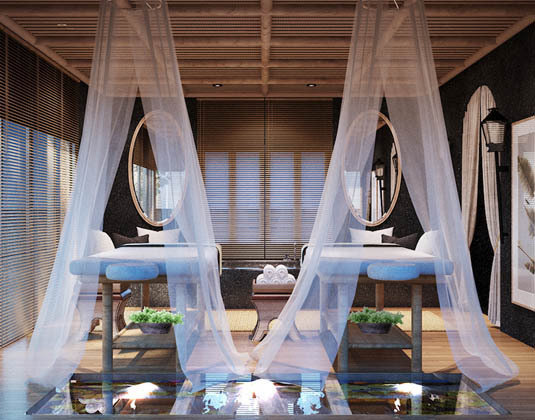 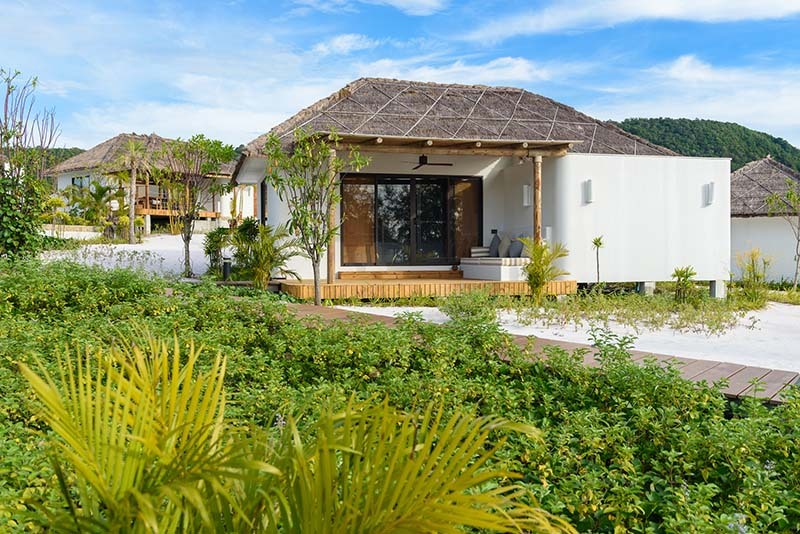 All the freestanding villas feature modern amenities with added touches for comfort, a sophisticated yet casual tropical decor and outdoor sala lounge area from which to enjoy the glorious views. 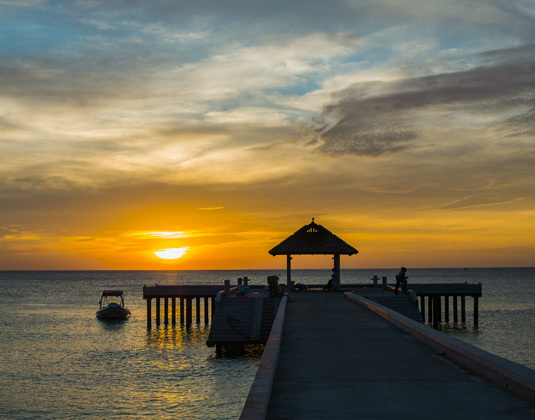 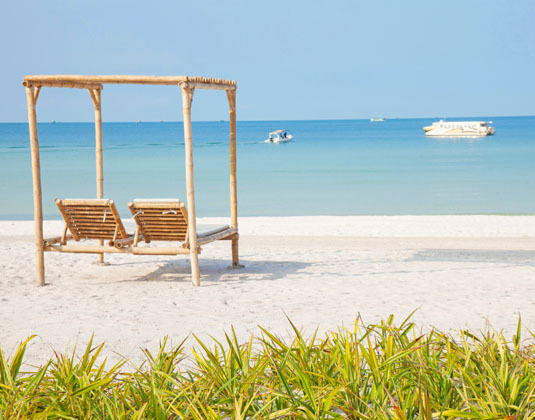 An array of watersports and a variety of spa treatments may tempt you away from the beach or pool while the inviting restaurants focus on authenticity and quality. 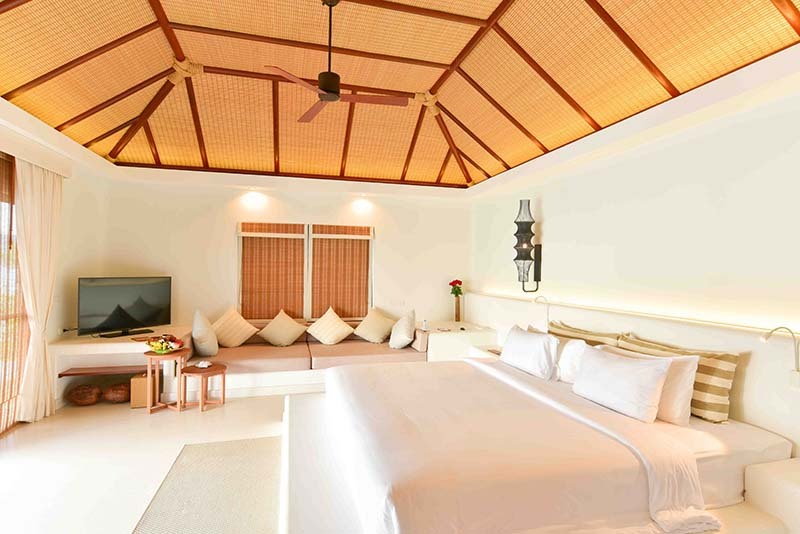 In ocean view villas, situated on the upper part of the property, with air-conditioning, indoor and outdoor shower, mini bar, safe and outdoor sala with day bed. 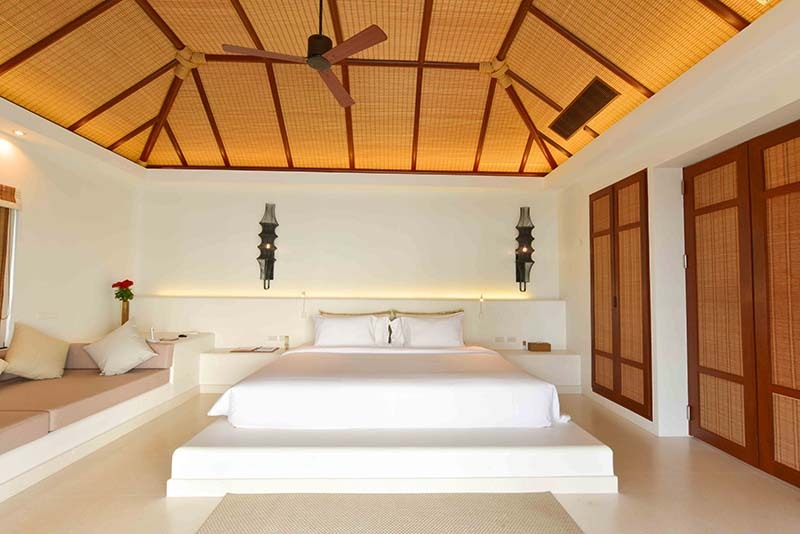 Beachfront villas * larger ocean view pool villas feature a private pool * beachfront pool villas which overlook the beach * two bedroom ocean view pool villas. 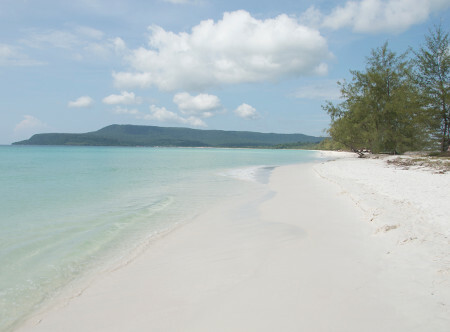 30 minutes from Sihanoukville airport to the port and then 1 hour by shuttle speedboat.